Your self-guided 3 week course starts 24 hours after enrollment! Wellpoint Hypnosis Method™ is not traditional Hypnotherapy, or clinical hypnotherapy, it is a spiritual hypnosis utilizing unique guided imagery in conjunction with customized SOUNDSYNCTECH™sound frequencies to promote a relaxed brainwave state. Wellpoint Hypnosis Method™ practitioners are your guide to your own self-awareness and soul awakening to facilitate the reality you would like to create in your life. Students have 3 weeks to watch a series of videos, download materials, and complete homework. 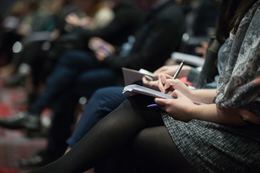 All videos are recorded from our live classes that took place in 2018-2019! Receive the most up to date and cutting edge information on Quantum Physics, Spiritual Hypnosis and Brainwave Frequencies Research! Wellpoint Spiritual Hypnosis™is a normal state of consciousness in which the individual is in a “relaxed” or altered brainwave state which focusses their attention and awareness on a specific directive they have chosen consciously; thereby activating the subconscious and superconscious mind. Wellpoint Spiritual Hypnosis Method™assists you in solving the mystery of your life, connecting you to the desires and intentions of your Soul, and creating lasting change. Through a unique spiritual hypnosis technique combined with the specialized brainwave frequencies from SOUNDSYNCTECH™, Wellpoint Hypnosis sessions provide you a path to the subconscious & superconscious mind...breaking through blocks and barriers, unlocking your highest potential, and finding your purpose in life. Would you like to share your story? 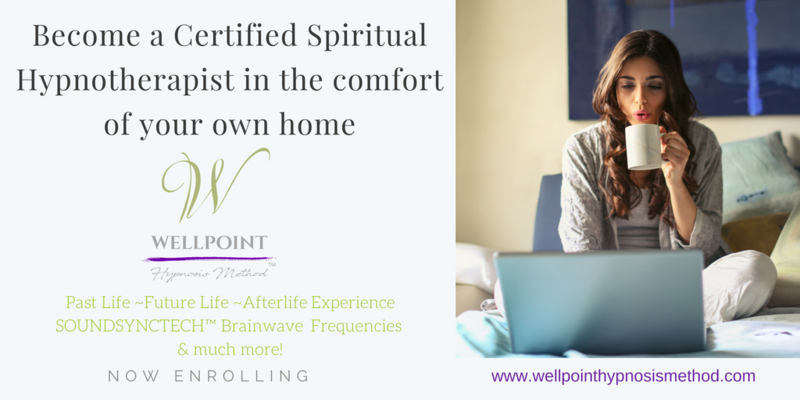 We have been compiling stories and case studies about people who have benefited from the Wellpoint Spiritual Hypnosis Sessions. In this particular compilation, Christina is focussed on how to find out what hidden talents and abilities can be accessed through spiritual hypnosis and how they can be used to create the business of your dreams. Contact us today if you would like to submit a story or personal testimony, don't worry all personal information will be changed to protect the identities of the clients. If you are a practitioner and would like to share your story, including your professional information to help promote your Wellpoint Hypnosis Method™private practice, we will review your request and assist you through the process. If you have another incredible story about your discoveries, experiences or results from a Wellpoint Hypnosis session but it is a different topic than this book, please contact us, there are many other opportunities to share your story!